Do you need to know when a certain guest, VIP, or sponsor arrives at your event? 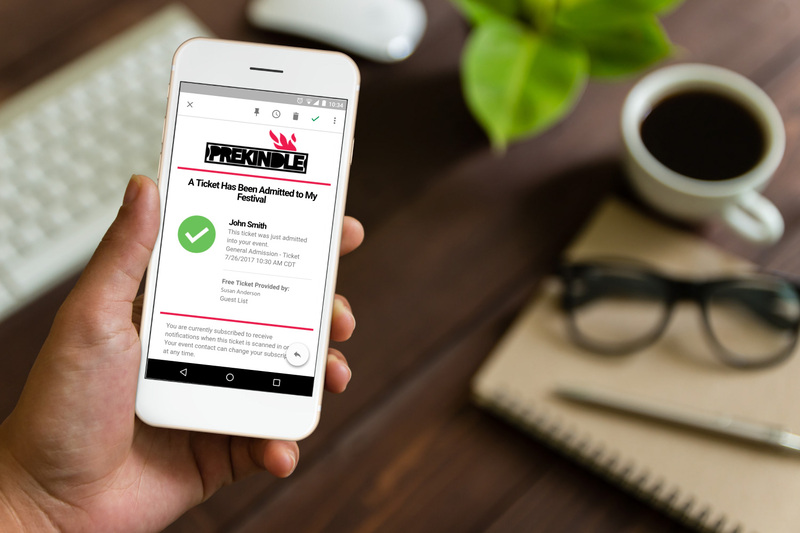 With Prekindle you can receive an email alert directly to your mobile device the moment a ticket is scanned or admitted. Simply lookup any purchase using the Prekindle box-office tools, and mark the ticket you are interested in. It’s that simple. Never miss an opportunity to greet your guests in your own personal way.